If you thought Scottish football couldn’t get any stranger than the summer of 1989 – when the openly Roman Catholic Mo Johnston was poised to re-sign for Celtic only to be snapped up by Rangers instead – then you probably weren’t prepared for the news which broke on 4 June 1990. Categories: hibLOG season by season, Uncategorized | Tags: David Duff, David Rowland, Duff and Gray, Hands Off Hibs, Jim Gray, stockmarket, takeover, Tom Farmer, Wallace Mercer | Permalink. 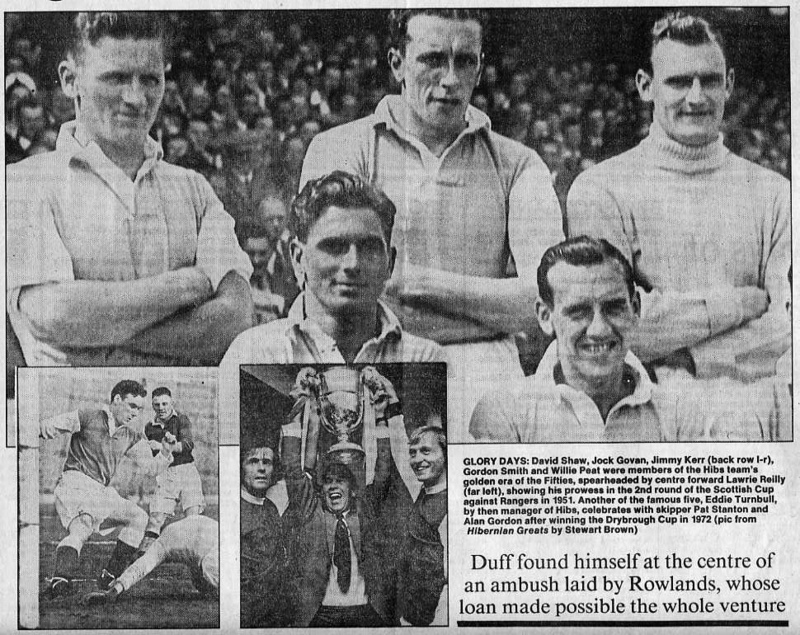 Categories: Press cuttings | Tags: David Duff, David Rowland, Duff and Gray, Hands Off Hibs, Jim Gray, takeover | Permalink. Categories: Press cuttings | Tags: David Duff, David Rowland, Duff and Gray, Hands Off Hibs, Jim Gray, takeover, Wallace Mercer | Permalink. A GREAT number of snags and obstacles, some of which could prove to be insurmountable, will have to be over-come if Wallace Mercer’s £6.2 million bid – overall it would cost him £13m -to merge Hearts and Hibs, rivals for longer than a century, is to succeed. THE SCOTTISH League will monitor the situation concerning Hearts and Hibs but will not answer any of the major questions which arise from it until the governing body knows precisely what it is dealing with, according to their secretary, Peter Donald.